Directors — WombWork Productions, Inc.
For two decades Kay Lawal-Muhammad "Mama Kay" has performed around the world on stages from New York to Edinburgh, Scotland. 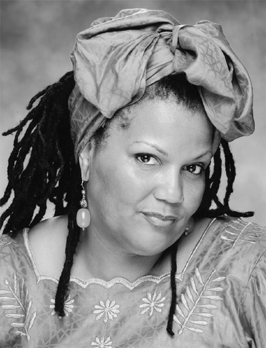 Blending artistry with activism, Mama Kay founded Actors against Drugs, Kuumba Women's Theatre Company, and WombWork Productions Inc. A dramatic as well as comedic actress, she has appeared in television series such as America's Most Wanted, The Corner, The Wire, and in an Emmy award-winning episode of Homicide. She has also toured throughout the US, Canada, and Europe during her provocative comedic production, The Thunder Thigh Revue, starring Joyce Scott. Rashida Forman-Bey "Mama Rashida" is a performing artist, teacher, community activist, song-writer, children's story-writer, and master virtues facilitator. Native to Baltimore, Mama Rashida founded WombWork Productions, Inc. alongside Mama Kay and Mama Nata'aska. For over 30 years Mama Rashida has committed herself to serving inner-city youyh to reach their full potential through character building and professional development workshops. These workshops include facilitator training for culturally relevant womanhood training for adolescents and teens, African Rites of passage, and character-building models like the Virtues Project International.